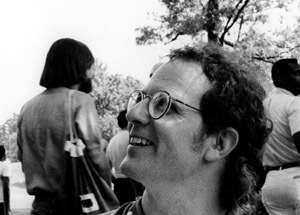 “Shawn Pavey’s poems capture the longing we feel when we lift the needle from a record album. In the turntable’s wishwiswish between Stratocaster riffs, there lies hope and resignation, Bruce Springsteen and hungry cats, maple leaves and ‘plastic blasted into space.’ Pavey’s poems give voice to our hunger for life, a medieval song heard through 21st Century earbuds.” Al Ortolani, author of Francis Shoots Pool at Chubb’s Bar and Waving Mustard in Surrender. 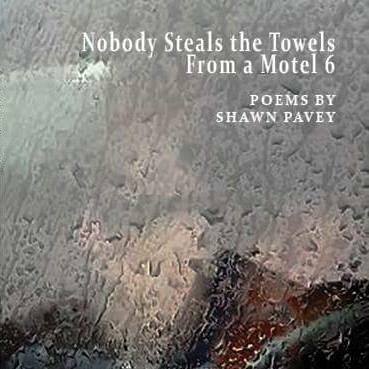 “In Nobody Steals the Towels From a Motel 6, I was reminded of how a gifted poet like Shawn Pavey doesn’t try to convince his readers to have things we don’t need but to slyly persuade us to open our eyes to the presence of the treasure of those things we cannot live without. In this book we have love, surprise, death, angels and more pictured for us in a flow of language both ordinary and extraordinary gracing us with a dancing vocabulary’s most lyrical and unforgettable choreography.” Chuck Sullivan, author of Zen Matchbook and Alphabet of Grace. “Do I dare disturb the universe? I am invited to everything on Facebook and it’s my own damned fault because, you may be shocked to discover, I invite people to events on Facebook. Goose, gander, bed, lying — all that stuff. It’s become such a pervasive issue that, for the last year or more, I ignore event invitations. They just stack up and I ignore them. But someone who always makes insightful, poignant, and, yes, interesting posts, a Washington Post contributing acquaintance of mine, sent me an event invitation. Only it wasn’t an event, but a project. A woman by the name of Jodi Barnes in Chapel Hill, NC, is going to, on February 14th, that most insipid of Hallmark-fabricated holidays, gather a group of volunteers to stand on street corners in Chapel Hill and hand out poems. The invitation is to write 14 word poems around the theme, “One World, One Race, One Love” in defiance of the 14 Words so commonly associated with the White Supremist movement. I want this for you, me. So, if you’re in the Triangle area of NC on Valentine’s Day, look for Jodi’s volunteers. Take a poem. Love fiercely. Defy hate.